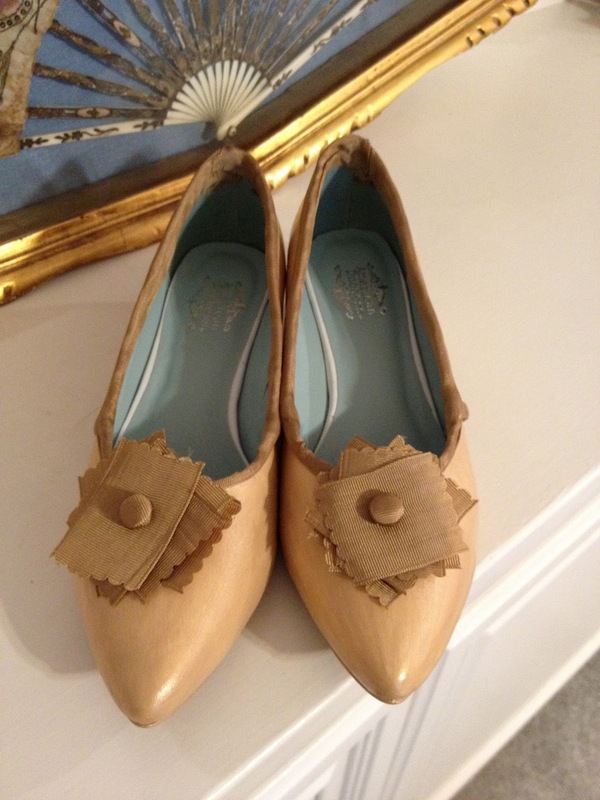 The American Duchess Pemberlies are super comfortable (but ran 1/2 size bigger than the 18th century shoes, so I had to exchange my 8 for a 7.5) and fit great. I bought champagne colored leather paint - it didn't go on quite as light as I would have liked - I think next time I will dilute whatever color I get with the neutral I also bought. I also bought some silk grossgrain ribbon on etsy. 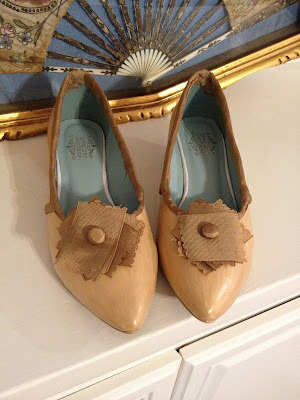 As Lauren suggestion, I used glue to edge the shoes and the side seam. I used her clips and made some rosettes. I also used two covered buttons (I happened to have blanks on hand). They're not exact because they're a little darker in color, but they're close! It is so hard with shoes, isn't it? We've all got different shapes!